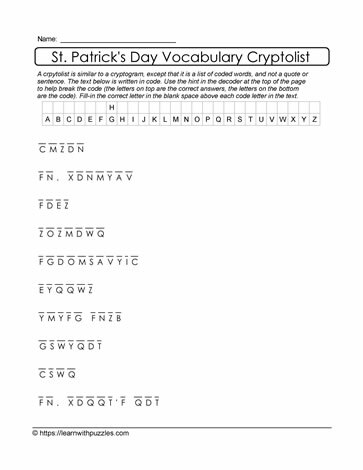 This cracking St. Patrick's Day cryptolist using problem solving strategies, knowledge of words and their structure, context and theme based words, engages students in making learning fun. Use these downloadable, printable puzzles to introduce theme based units, as part of literacy centers, or as part of an assessment tool used to gauge students' problem solving strategies. HINT provided.